Case: steel with black PVD finish. 42 mm diameter. Dial: matte black. Numerals and indexes filled with Superluminova®. 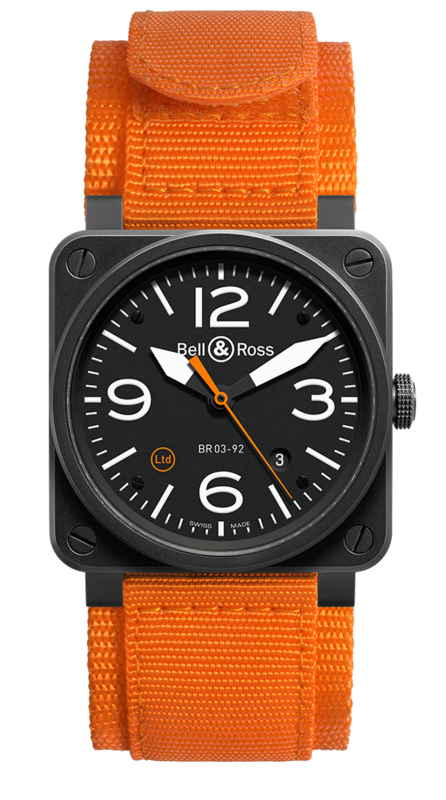 Straps: orange canvas and black rubber.